Chilean director Sebastian Silva has been awarded the International Film Guide Inspiration Award at the Miami International Film Festival (6-15 March 2009) for his debut film THE MAID (La Nana). The Award, sponsored by UK book publisher Wallflower Press (http://www.wallflowerpress.co.uk/) and American dvd distributor The Criterion Collection (http://www.criterion.com/), honors emerging filmmakers at international film festivals and events worldwide. The Miami International Film Festival (http://www.miamifilmfestival.com/) was the first film event in North America this year to offer the prize, a library of film books and classic DVDs with a cash value of US $2500. THE MAID has become one of Latin America’s hottest titles after winning the Grand Jury Prize in the World Cinema Competition at the prestigious Sundance Film Festival. It repeated the trick of winning Best Film honors one month later at the Cartagena Film Festival. The film is the debut of Sebastian Silva, a multifaceted artist whose body of work includes painting, illustration and popular music. For his first feature, he has chosen a subject that is both subtle and controversial in Latin American culture. The role of the established maid in an upper class Latin American home is sacrosanct….a servant who is treated equally as a family member and a social outcast. When said family brings another additional help, the claws come out as these servants fight for “head of place” for the often ungrateful family. 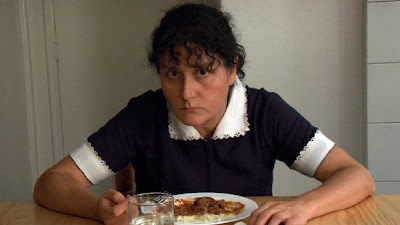 The actress who portrays the reserved yet flinty older maid is played by Catalina Saavedra, who has won awards for her performance at the Sundance and the Cartagena film festivals. The film was produced by Gregorio Gonzalez of Forastero (http://www.forastero.cl/), a production company based in Santiago, Chile and Tiburon Filmes, and is being sold internationally by Los Angeles-based sales company Shoreline Entertainment (http://www.shorelineentertainment.com/). THE MAID was shot on location in Santiago and has been featured at the film festivals in Rotterdam and Berlin in Europe and what will certainly be many other North American film festivals, following its Sundance win. The International Film Guide Inspiration Award has been designed to honor emerging filmmakers at major film festivals around the world. Winners have a choice of a dozen film books from the library of Wallflower Press and a 10 DVD classic film collection from the Criterion Collection featuring the masterworks of such icons as Fellini, Bergman, Hitchcock, Truffaut, Kurosawa, Godard and several others.